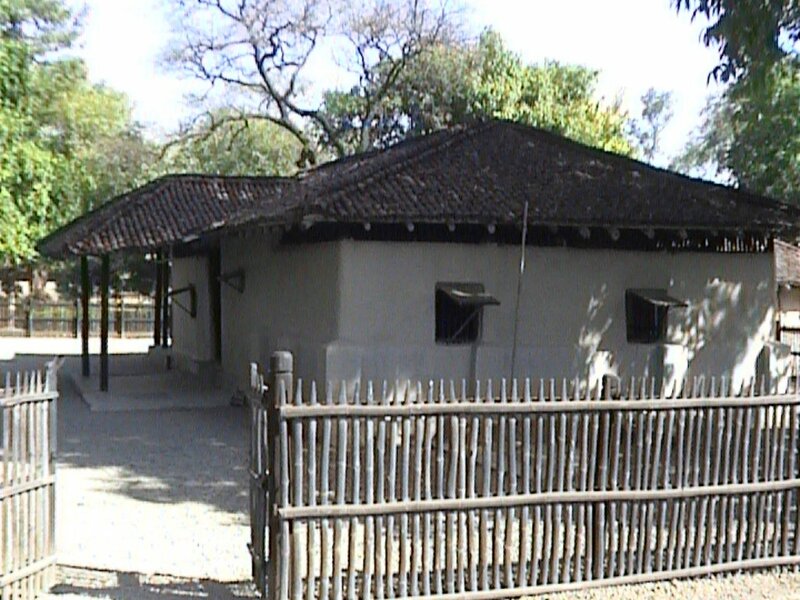 Photo: this is the original home Gandhi built at Sevagram in central India, far from the places of "power." No electricity, no running water. But world leaders came to visit the small man with the great heart here. Here Gandhi daily lived the principles that India's independence movement embraced to achieve freedom nonviolently. "Swadeshi." I saw this word at Bapu Kuti in Sevagram, India a few weeks ago. 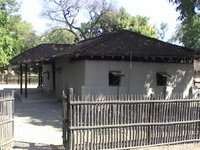 It was posted as one of the 11 "observances" at Gandhi's ashram. Here's what the folks a the Bombay Museum say about "swadeshi." The overall experiment was towards building a non-violent society. The Freedom was the most immediate Swadeshi. The concept of Swadeshi as explained by Gandhi, the author of this entire non-violent struggle, is employment of unemployed or semi-employed people by encouraging village industries. The use of machinery is, of course, welcome with caution and proper planning so that it can be useful to the masses rather than helping a few who can monopolise the industry. One is made aware of the violence involved in supporting unnecessary industries, which deprive millions of people of their livelihood and face disease and death. Besides, the use of industrial products which cause a lot of violence due to mishaps, chemicals and materials which involve harm to other creatures, makes the consumer responsible for this violence. The consumer therefore, has the responsibility of choosing the materials which he uses, with great prudence. Talking to Ramachandran, a student of Shantiniketan on October 10/11, 1924, Gandhi said: "What I object to is the craze for machinery, not machinery as such. The craze is for what they call labour-saving machinery. Men go on ‘saving labour’ till thousands are without work and thrown on the streets to die of starvation. I want to save time and labour, not for a fraction of mankind, but for all. I want the concentration of wealth, not in the hands of a few, but in the hands of all. Today machinery helps a few to ride on the backs of millions. The impetus behind it is not philanthropy to save labour, but greed." "The aim of 'swadeshi' as such, is a call to the consumer to be aware of the violence he is causing by supporting those industries that result in poverty, harm to workers and to humans and other creatures."